In the picture you can see traveling to Tobia, and the wise Archangel Raphael, and the serious Archangel Michael and the dreamy, gentle Archangel Gabriel. According to the biblical tradition, the Israelite Tobit lived with his family in Nineveh. He was a very pious and kind person, with wealth – he always helped with his fellow tribe. But hard times came for him – Tobit was impoverished and blind. He remembered then the ten talents that he had deposited with the Israeli, who lived in the Rages of the Medes. 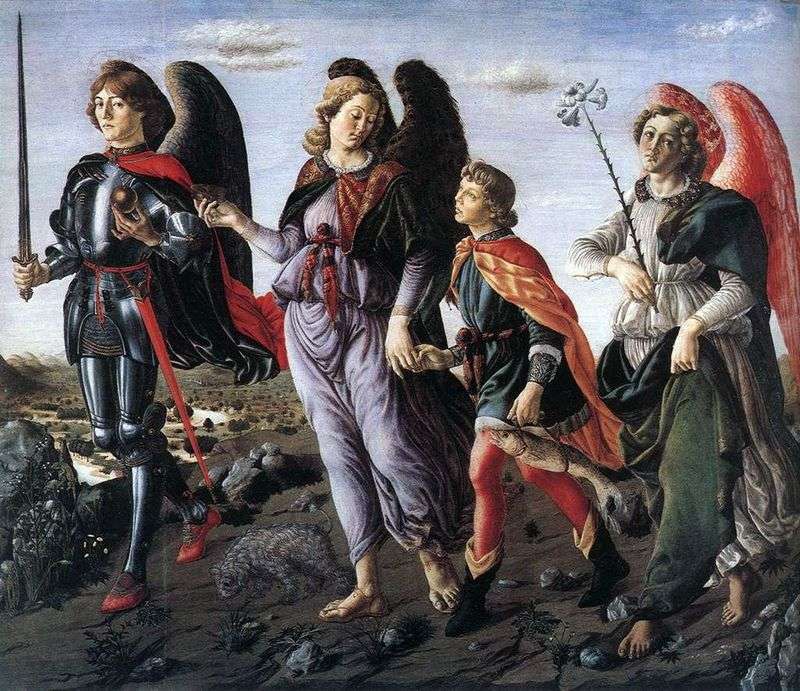 Description and meaning of the painting Three Archangels with Tobias by Francesco Botticini.